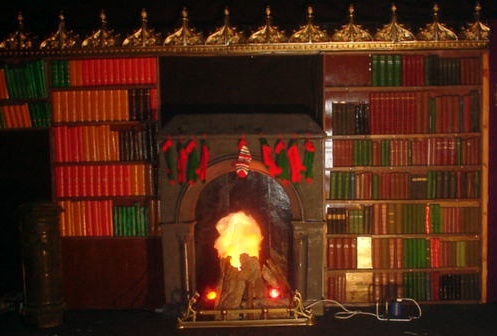 It starts with reception drinks in the Professors library, complete with roaring log fire and of course, the wardrobe (we used two) which lead out into Narnia. 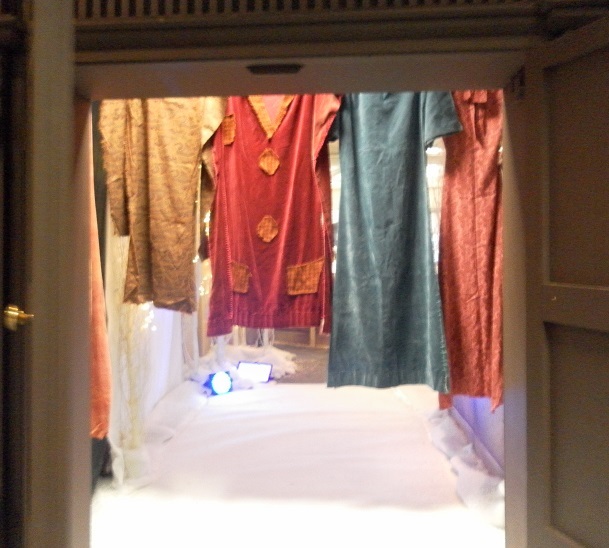 As the wardrobe doors open, oversize clothes have to be pushed aside to gain entrance into Narnia. 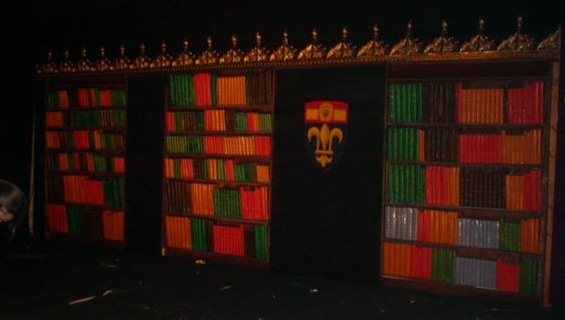 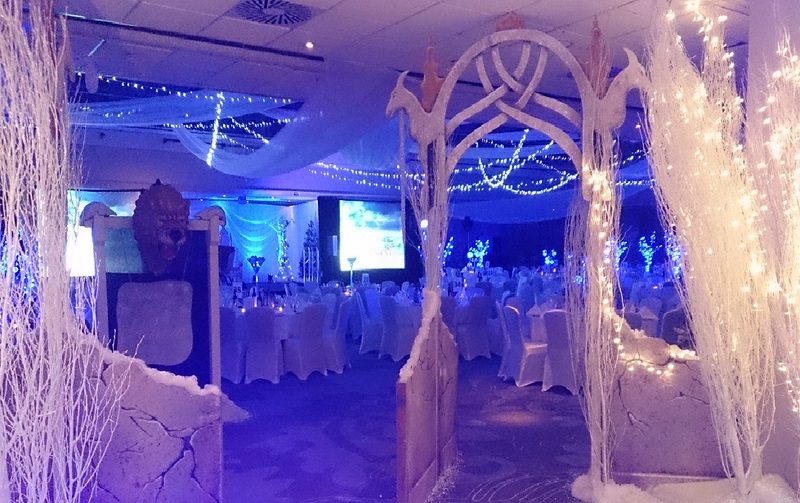 We built two icy gazebo entrances and painted three canvas backdrops of Narnia totalling 30m in width x 3m high.